My late grandmother, Martha, of blessed memory (“Nanny Martha” to those of us who knew and loved her best) was a dynamo in the kitchen. Not unlike other Eastern European woman of her generation, Martha created meals for her family that were consistently and undeniably delicious. Moreover, her food possessed that unnameable quality– it seemed to ooze warmth, security, love, and basically make everything seem alright with the world. You know what I’m talking about: the kind of food only a grandmother can make. As the beneficiaries of Nanny’s cooking, my parents, sisters and I were treated to her repertoire of Austro-Hungarian dishes every Thursday night for more years than I can count. There are many stand-outs that will forever be burned in my memory. Her exotic delicacies ran the gamut from tangy, orange Viennese Liptauer spread to melt-in-your mouth German rouladen (beef roll-ups–we called these “schnapper schnitzel”) to her own Americanized version of wiener schnitzel (served with a side of heavily sweetened tomato sauce). On Rosh Hashanah, we all anticipated her flaky apple strudel and Passover‘s moratorium on flour was made all the more bearable with her sticky sweet jelly roll (more on this in a minute). Nanny Martha was that most confounding of home cooks. Her food was, in a word, spectacular. But ask her how she made any of it, and her answers were often vague. “Oh you know, a little of this and some of that,” was the typical response. So when Nanny died in 1994, the secrets locked inside all those wonderful meals were lost as well. 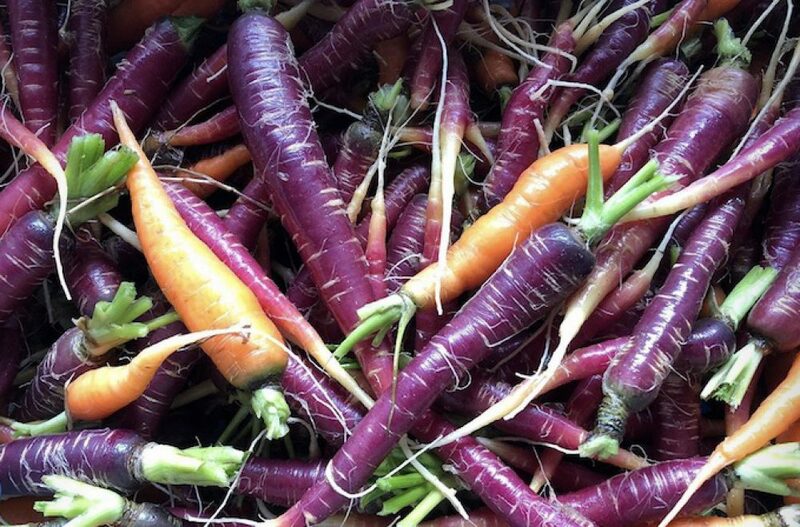 Many days, when I am in the kitchen, I think of Nanny and summon her memory as inspiration. Recently, I’ve begun experimenting with desserts. Nanny had a sweet tooth, for sure, and I think she would have been proud of my attempts to create sugary happiness — just like she did all those years ago. 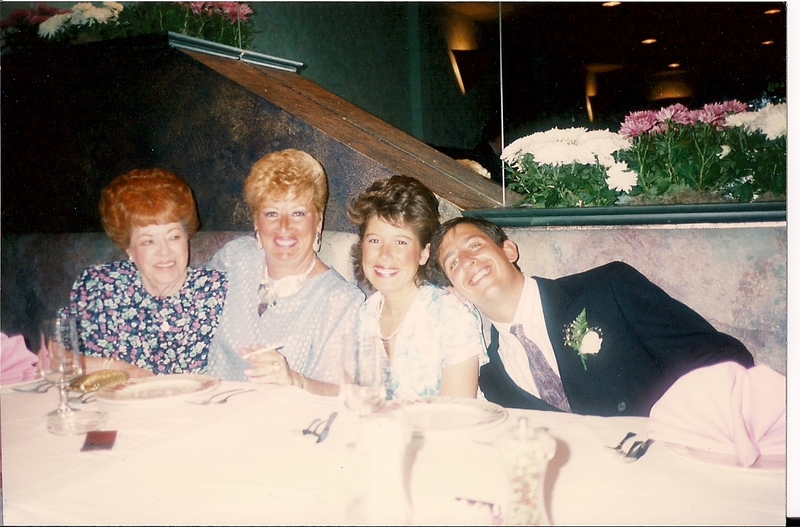 My wedding day in 1988. Nanny is on the far left, next to my mother. 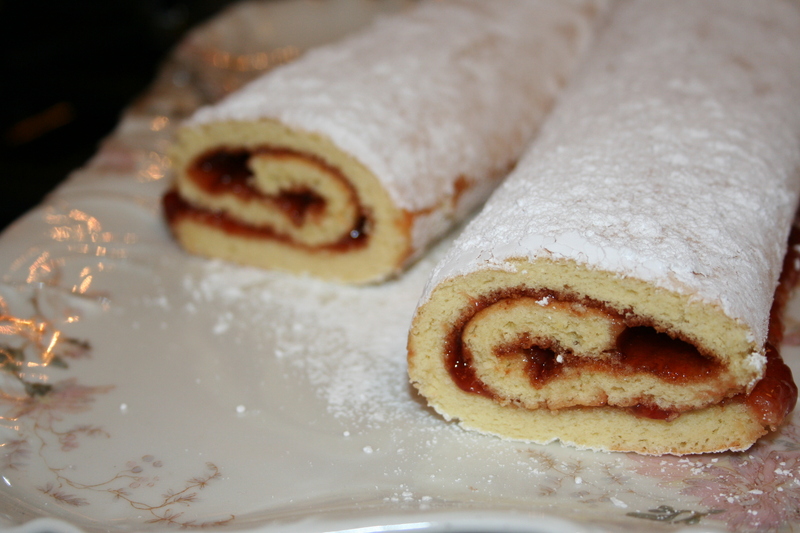 In the absence of any written documentation from Nanny, I searched the internet for a recipe for Jelly Roll that would hopefully do Nanny’s justice and I found this one, courtesy of Paula Deen. Interestingly, she calls this “Old South Jelly Roll Cake” but it could have just as easily originated from Nanny’s kitchen, right here in Baltimore. In a small bowl, beat egg whites until stiff and set aside. In another bowl, beat the egg yolks until light. Gradually add the sugar and vanilla, and mix well. Sift together the flour, baking powder, and salt. 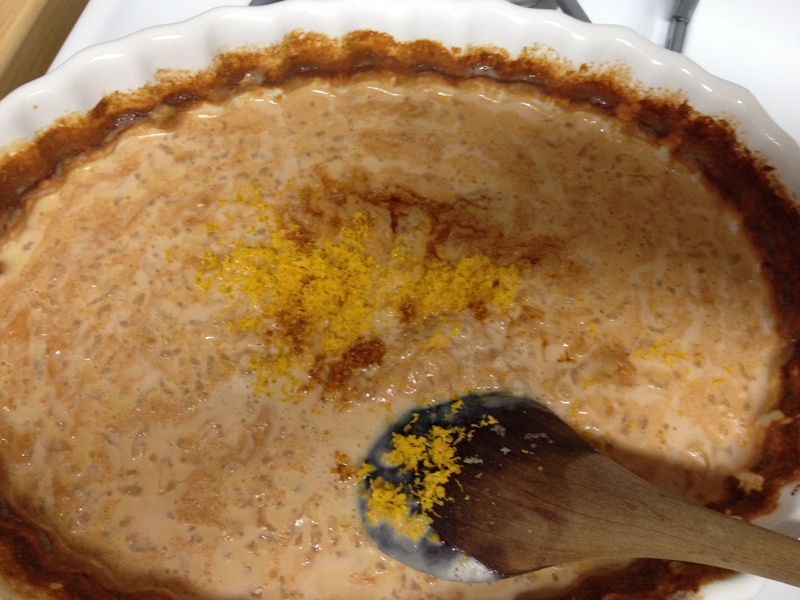 Add the sifted flour mixture to the egg yolk mixture. Fold in the egg whites into the egg mixture and pour the batter into a 15 by 10 by 1-inch jelly roll pan lined with waxed or parchment paper. Bake for 8 to 10 minutes or until the cake is golden. Loosen edges of cake and invert onto a towel dusted with confectioner’s sugar. Gently peel wax paper off cake. Trim 1/4-inch of hard crust off each long side of the jelly roll cake. Begin with the narrow side and roll the cake and towel up together. Cool cake on rack, seam side down, for 10 to 15 minutes. 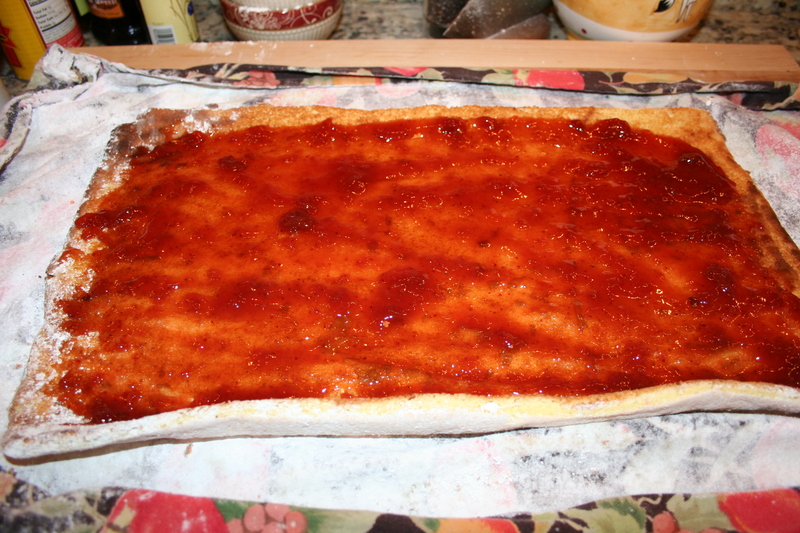 Once cake has cooled, gently unroll and spread cake with jam or jelly and re-roll. Sprinkle with confectioners’ sugar and slice to serve.